Providing the highest level of service regardless of price point. Trust is my priority. Service is my passion. Using my art and design background I will list and sell your home for top dollar with my unique marketing plan that helps your home look its best and stand out from the rest. Responding to emails, texts and phone calls will always happen in a timely manner. I'm a full time real estate professional. Let me handle the tedious particulars of marketing your home and negotiating a purchase so that you can concentrate on what's really important in life. Whether you're selling or buying I will equip you with up to date market statistics and neighborhood information created especially for you and your real estate goals. I will never try to push you into anything, or act dishonestly with you or any other parties involved in the real estate transaction. I will guide you through every step, making sure you are comfortable with each big decision. My service to you doesn't end at the closing table. I will provide you with annual market research of your home, and local resources like contractors and movers. I'll be on hand to help for as long as you own a home. "Sarah was our agent for both buying our new home and selling our old home. We couldn’t have done it without her. We had some bumps in the road, but Sarah was great throughout the whole process. Her persistence, knowledge and patience was incredible, and her calmness and professionalism throughout the process was exactly what we needed through the sometimes emotional process of buying and selling a home. She was there for us every step of the way and she made us feel as though we were her only clients. Also, Sarah has high ethical standards and was always fair, both to us and to our buyers and sellers. Most importantly, she helped us find the perfect home for us. Thanks Sarah!" "As a first-time home buyer, Sarah was a dream to work with. She walked us through the purchasing process step-by-step and answered any questions we had along the way. She was very responsive and returned our phone calls and emails promptly. Her friendly and laid-back style made the process less stressful and dare I say it…enjoyable! We will absolutely use Sarah for future home purchases and suggest you do too!" "We LOVE our new home! Thanks for helping us find it! You went above and beyond- helping us find an AMAZING Mortgage team, home inspector etc; being responsive and available despite the crazy busy CO real estate market; and even taking us on video walk-throughs of properties since we were out-of-state. As first time home buyers and as a young LGBT family new to this part of the country, we were blessed to work with someone who carefully listened to our specific hopes, dreams and concerns and then filtered it through extensive knowledge of CO to help us find the right Boulder County community to land in." "This was my first home buying experience and Sarah made it rewarding. I relocated to Denver from the east coast and chose to buy a home instead of rent. Sarah was incredibly accommodating considering I was out of state and trying to pick my first home. She demonstrated incredible patience with my few hundred questions at all times of the day. On the same note, she always responded and if she didn’t know the answer she got the answer to me within a short time. I was very nervous about all entire prospect but Sarah gave me confidence throughout the process. Her knowledge of Denver and the nuances of each neighborhood was impressive and she even provided tidbits of history about some of the neighborhoods. Sarah was there for me through all of the process, even finding a last minute sewer inspector and accommodating my insane schedule starting a new job and buying a home at once. It might all be the norm but I will probably always remember my first home buying experience and Sarah will always be a significant part of that memory for how helpful, confident, and reassuring she was in the process. I love my new home and my new neighborhood and that is something I will never be able to thank her enough for." 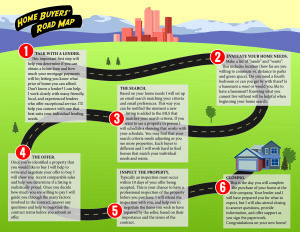 Tips for buying in the busy Colorado real estate market. Learn how to sell your home for a high price within a time frame that's right for you.